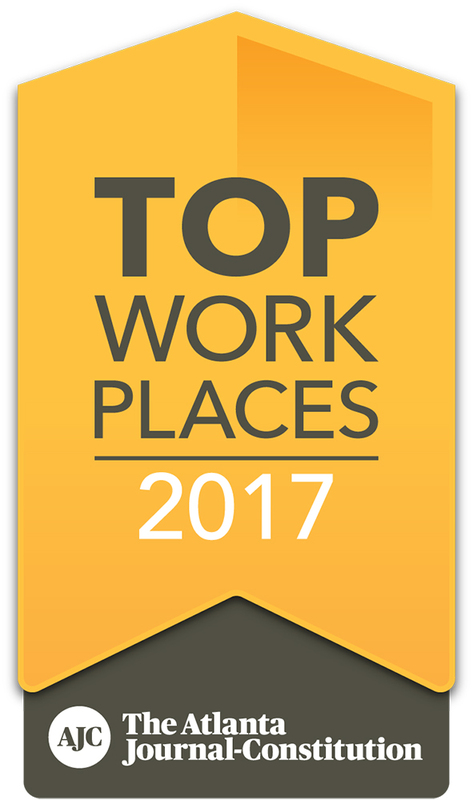 Dorsey Alston, Realtors has been named one of the Top Workplaces by the Southeast’s premier newspaper and web site, the AJC & AJC.com. This is an employee-driven recognition, which draws nominations from more than 4,000 businesses around the country and had more than 1,000,000 people complete the confidential Workplace Dynamics employee survey. Dorsey Alston has been honored as a Top Workplace in 2012, 2013, 2014, and 2015 in the category of midsize company which is defined by having between 150 and 499 employees. In 2016, the firm was not only honored but also placed No. 1 in the midsize category, and, in 2017, the firm placed No. 2. For six consecutive years, Dorsey Alston team members have gone online, completed an anonymous survey that management never sees, and written about the work environment at Dorsey Alston in such a positive way that the firm has continuously risen to the top of a crowded field of excellent companies. With a team of more than 250 professionals, that is no small feat. Creating that inspired, supportive space is Dorsey Alston’s primary goal every day, and if the AJCs recognition is any indication, then the firm is on the right track. The environment at Dorsey Alston is unsurpassed! Now I can look forward to reading our blog and learning even more about what is going on. Thank you , Michael, for all you do for Dorsey Alston and for the many who call it home.